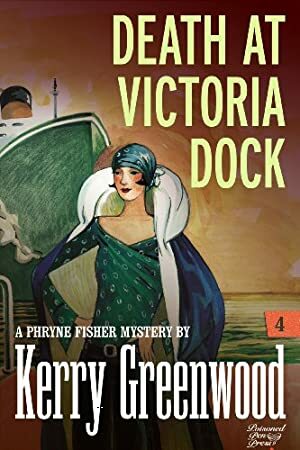 A hail of bullets takes out Phryne Fisher's windscreen, but it's the pretty young man with the anarchist tattoo, dying in her arms on the roadside, that stirs her heart most. Phryne vows to avenge him, and pursues a case involving bank robbery, tattoo parlors, public houses, spiritualist halls, and anarchists. Along this path, she meets a scarred but delectable wharfie named Peter, who begins to unfold the mystery of machine guns in Melbourne. But when someone kidnaps Dot, her cherished companion, Phryne will stop at nothing to retrieve her. We started tracking this book on November 13, 2017. The current price of this book is $9.51 last checked 3 months ago. We last verified the price of this book about 3 months ago. At that time, the price was $9.51. This price is subject to change. The price displayed on the Amazon.ca website at the time of purchase is the price you will pay for this book. Please confirm the price before making any purchases.